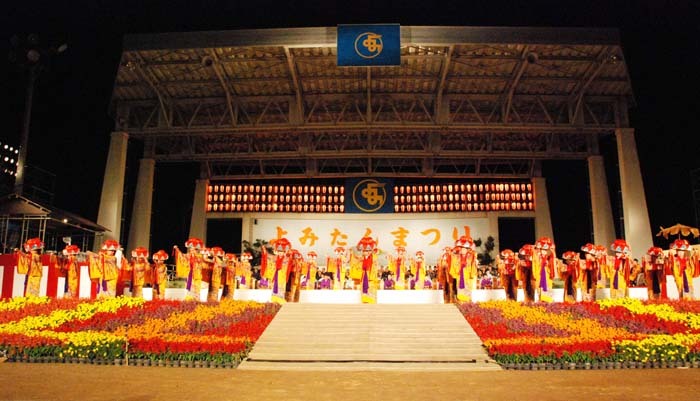 Yomitan Festival is famous for its massive group spectacles of Okinawan traditional performing arts. Besides having the distinction of being the largest village in Japan, Yomitan Village is all about sugar cane farms, rich nature and beautiful blue ocean. It’s also the birthplace of Akainko, a mythical figure created of being the earliest creator of sanshin music. As such, it’s just perfect for the village’s big festival starting Friday, Oct. 28 with the Okinawa Dream Peace and Piece concert followed by the two-day Yomitan Festival on Saturday and Sunday. About 300 players perform Okinawan classical music on Saturday evening. The Okinawa Dream Peace and Piece concert takes place at Yomitan Village Athletic Park and features live performances by DugonDugon, United76jahNation, Ayumi Higa, KanRyu Mei, RyukyuDelihtClub, Deigo Musume, Kyougo Kawaguchi, KONISHIKI Band, and Unaigumi. The concert starts at 17:30 with the gates opening 30 minutes earlier. Admission is free. 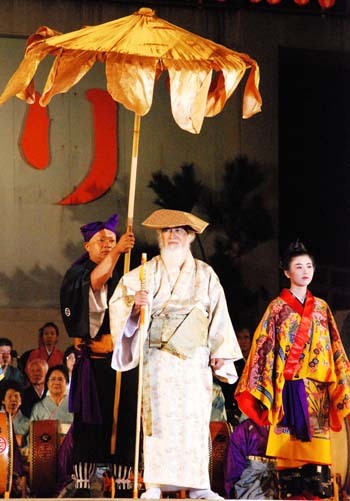 Yomitan Festival takes place on Saturday and Sunday at the same venue from 13:00 on Saturday and 14:00 on Sunday. The festival closes at 21:00 on both days with fireworks. Yomitan is known for its pottery and woven fabrics which the village exported to China and elsewhere with Shinkousen ships, which upon return brought goods from the other countries to Okinawa that were then resold to Japan. ‘Shinkousen’ at the festival is a replica of the official ship used for trading and sending senior delegates to China in the Ryukyu Kingdom era. The Shinkousen show gives people an idea how a ceremony went when the ship came back to Okinawa after a long trip. Yomitan is said to be the birthplace of Akainko, the earliest creator of Sanshin music. 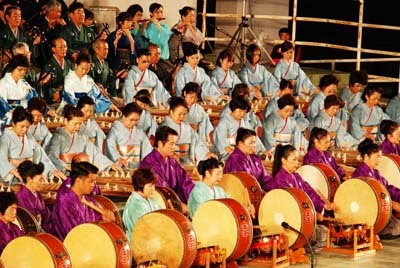 Akainko Ryukyu traditional classical music performances of about 300 players at 18:30 on Saturday, will be overwhelming and one of the annual highlights of Yomitan Festival. Akainko is a historical figure credited as being the original creator of sanshin music who traveled on foot from village to village and made music as he went. 16:30 Hawaiian Dance, Okinawan songs, and traditional performing arts. 14:00 Karate performance on the boat. 17:00 Shinkousen Show. Karate performance on the boat.